Stress can have a big impact on our overall health and oral health, in particular. Isn’t it strange how we automatically think of fatigue and related things when we think about stress? But the fact is, stress affects various facets of our health. Today, I am going to tell you about the effect of stress on oral health. 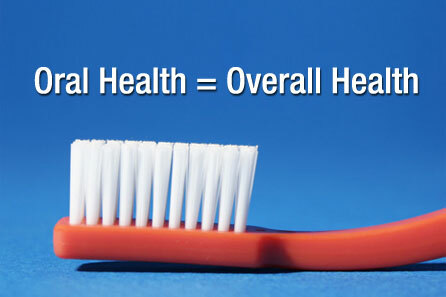 You already know that maintaining good oral health is critical to our wellness. Let us look at how stress can have a major impact on our oral health. Gum disease. If you already suffer from it, it gets worse. Let’s begin with mouth sores. These include canker sores and cold sores. Canker sores are those tiny whitish or greyish ulcers with a reddish border around them. These turn up inside the mouth in pairs or little clusters. The doctors have no clue what specifically causes them because there are many reasons why these appear. Some of these reasons are immune system related, bacteria, viruses, fatigue and allergies. Stress has been identified as a trigger for these too. The good news is canker sores are not contagious and will usually vanish in about a week. While they are in your mouth, you can minimize the agony by avoiding spicy or hot foods and acidic food like tomatoes and citrus fruits. Cold sores resemble blisters and are caused by the herpes simplex virus. They are contagious. They usually appear around the lips or on them, under the nose and around the chin area. What triggers them? An emotional upset, a fever, sun burn or skin injury. These might heal in a week by themselves or with the help of over the counter medication and prescription meditation. It is best to consult your doc as soon as you see them start up. Stress makes you grind your teeth or clench your jaws. This is also called “bruxism” and it is not pleasant. Some people have a tendency to do this subconsciously and if they are stressed out, it becomes worse. Teeth grinding can result in problems with the jaw joint (the TMJ or temporomandibular joint) where our skull meets our lower jaw. The problem can be a painful one. Dentists usually suggest wearing a night guard to avoid teeth grinding. Those who suffer from acute stress often forget to maintain oral hygiene. They don’t remember to brush their teeth or floss. And we all know where that can lead, besides a smelly mouth that gradually alienates people from standing close to you. Inadequate oral hygiene can affect oral and overall health and result in gum disease and cavities. For those with gum disease, matters get worse. Stress will also result in the build up of dental plaque. Another outcome of stress is unhealthy eating habits. Stress causes people to snack on lots of sugary stuff and carbonated drinks. And before you know it, you’ve got tooth decay and other issues. And then, the teeth become sensitive and don’t let you eat well. Stress causes depression. And when you are depressed, you face the risk of everything I listed above. Worse still, when you get treatment for gum disease, your outcome may not be good. Can you make the depression or stress disappear? Yes, but not overnight. You’ve got to use effective strategies to deal with your stress.You have to develop healthy habits focused on your problems. Exercise is a great way to relieve stress and energize yourself as it prompts you to look after yourself better and develop healthy eating habits. This in turn, strengthens the immune system and improves oral health. I also recommend guided meditation. This involves sparing just fifteen minutes in the morning and fifteen minutes in the evening. It is a great investment in yourself, because when we’re mentally healthy, our body is healthier and everything is possible. And remember that a healthy, nutritious and balanced diet must be a part of your lifestyle. Don’t forget to visit your dentist regularly and maintain good oral hygiene so that you can reduce the risk of gum disease. Brush and floss your teeth twice daily. Very nice post. Yeah its true that stress is very harmful to our health. You have shared a good information. Thanks for making such a cool post. Choosing the right toothbrush and toothpaste is the great key for a good oral health. We should give importance to it because we use it in our daily life as for communication. I think no human will not experience stress and depression, I would rather say it is natural for us but it doesn’t mean we cannot do something about it. There are many things we can consider in dealing it.